Casey Affleck and Summer Phoenix are no more together as the couple has already called off their relationship. Phoenix filed for a divorce against her husband Affleck last August, and their divorce got finalized just a few days back. Let's learn more about the divorce story in detail. Just stay with us. Summer Phoenix and Casey Affleck have now finalized their divorce. On Friday, September 15, the judge signed off the finalized divorce papers. Though Casey previously refused to pay his ex-spousal and child support, he now has to pay it, according to court documents. The former married couple who were married since 2006 had already split in March 2016 after a decade of their wedding. But Phoenix officially filed for divorce only in last August, and Casey recently responded to her filing, and now they have already come to a financial agreement. The divorce settlement was easy as the couple had already signed a prenuptial agreement. According to TMZ report, although Casey's documents included a request to deny Summer spousal support, he now will pay his ex-wife the money under their promised agreement. The documents revealed the reason for their split as 'irreconcilable differences'. Both Casey and Summer has asked for joint legal and physical custody of their two sons Indiana and Atticus. Affleck was first introduced to the gorgeous actress Phoenix by her brother, Joaquin, in the mid-1990s after which they eventually started an affair. They began dating in 1999. The pair has also appeared together in the 2000 film Committed, and a 2002 stage production of This is Our Youth. After working together in some movies, the couple engaged on 25 December 2003. Affleck was the one who proposed to Phoenix, and after a year of their engagement, they welcomed their first son, Indiana on 31 May 2004 in Amsterdam. 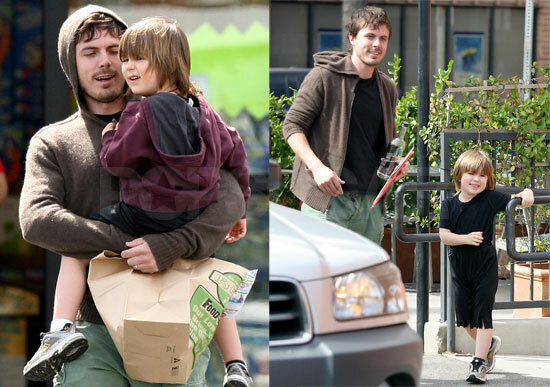 After a year of their marriage, they welcomed their second son Atticus on 14 December 2007. Unfortunately, the parent of two children could not save their marriage. They separated since early 2015, but only announced the separation in March 2016.